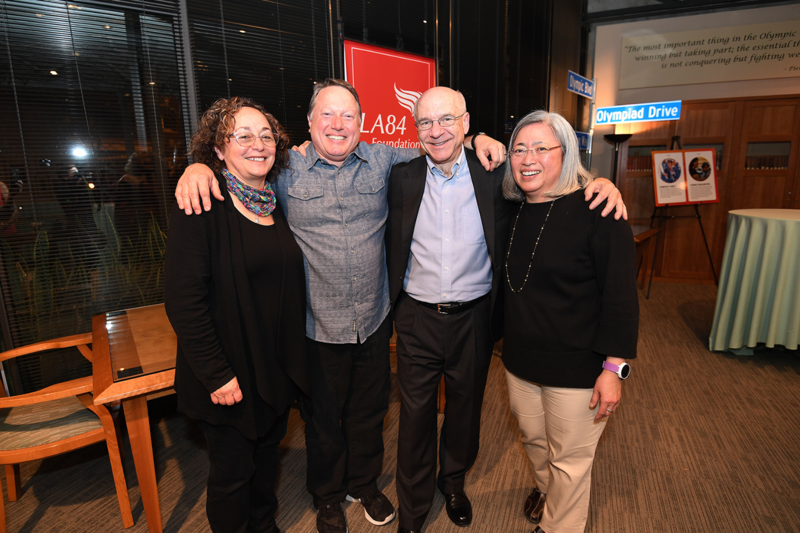 Last week, some 200 people gathered at LA84 Foundation headquarters to celebrate the publication of a unique book and to celebrate the retirement of a unique staff member. 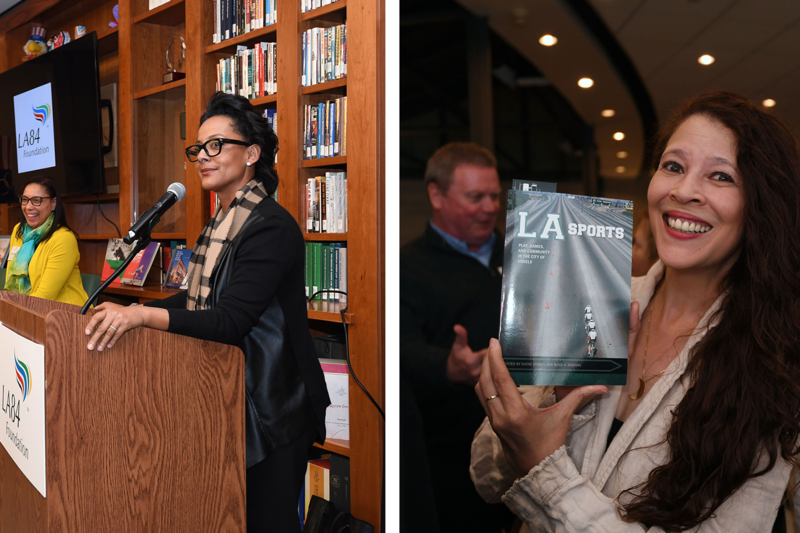 LA Sports: Play, Games, and Community in the City of Angels (University of Arkansas Press) is co-edited by Wayne Wilson, LA84 Foundation’s vice president for education services, and George Mason University professor of sport history David K. Wiggins. 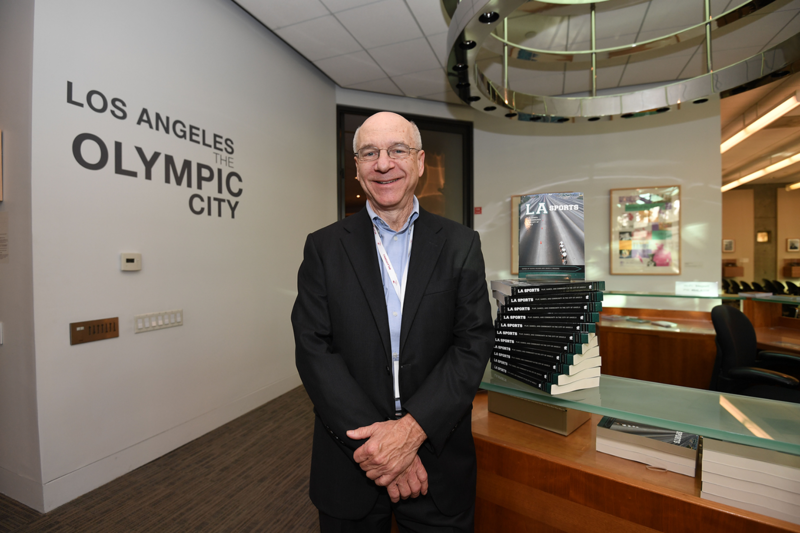 According to Wilson, LA Sports is the first-ever general collection of scholarly articles to examine the ever-morphing sports scene in Los Angeles. As the book’s introductory essay notes, Los Angeles is synonymous with major events. The city and its SoCal environs have hosted two Olympic Games (with a third on the horizon in 2028), Super Bowls, World Cup finals, Rose Bowls, and the X Games, not to mention multiple World Series, NBA Finals, and Stanley Cup games. 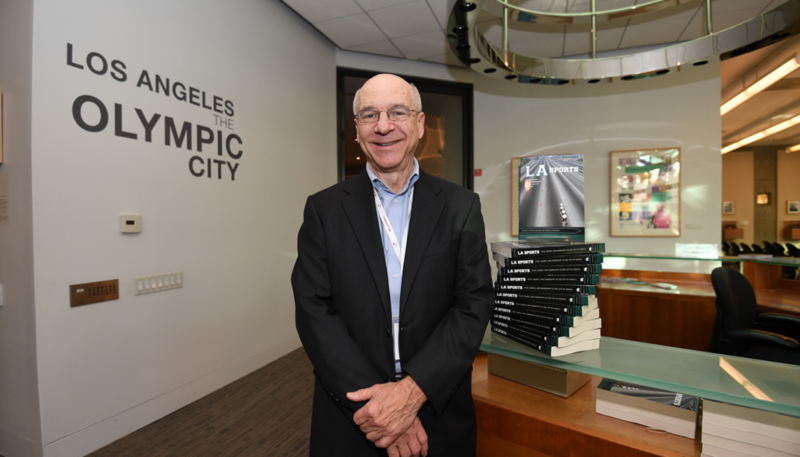 Chapters in the book examine both the 1932 and 1984 Olympic Games and show how their successes managed to silence critics and naysayers. But L.A.’s athletic tapestry resonates well beyond these headline-making events: it’s an entertainment hub that has produced beloved sports films that use SoCal as location like Bad News Bears, Karate Kid and Love and Basketball; sports films like Tin Cup and Kingpin; it invented and/or popularized sports such as BMX, skateboarding, and beach volleyball; it has served as the setting for Fernando-mania and the “Dogtown and Z-Boys” skateboarding scene. 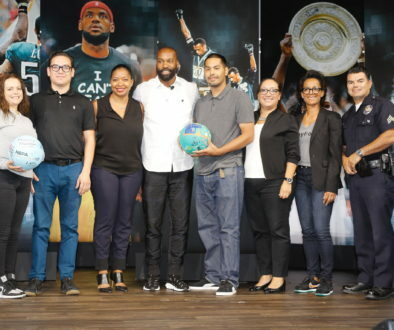 Wilson joined the LA84 Foundation (known then as the Amateur Athletic Foundation of Los Angeles) in December of 1987, six years after earning his Master’s Degree in Library Science from Syracuse University. His charge was to turn an assortment of books, periodicals, scrapbooks, memorabilia, and Olympic-related documents into a bona fide sports library of national and international significance. 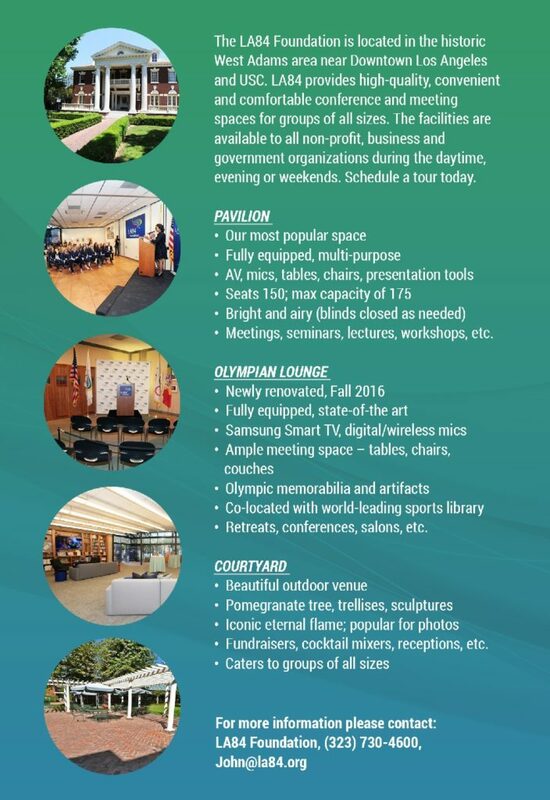 The library opened to the public in 1988 and, thanks to Wilson’s selfless dedication and encyclopedic knowledge of all forms of sports history and culture, the sleek site next to the landmark Britt House quickly became a must-visit destination for sports scholars, researchers, and authors. Wilson exceeded expectations by amassing a treasure-trove of rare books, hard-to-find periodicals, instructional videos and documentary films, tens of thousands of photographs, and the voluminous Olympic collection that soon became the envy of other institutions. The reputation of the library grew exponentially in the mid-1990s thanks to Wilson’s prescient bet on nascent digital technology. 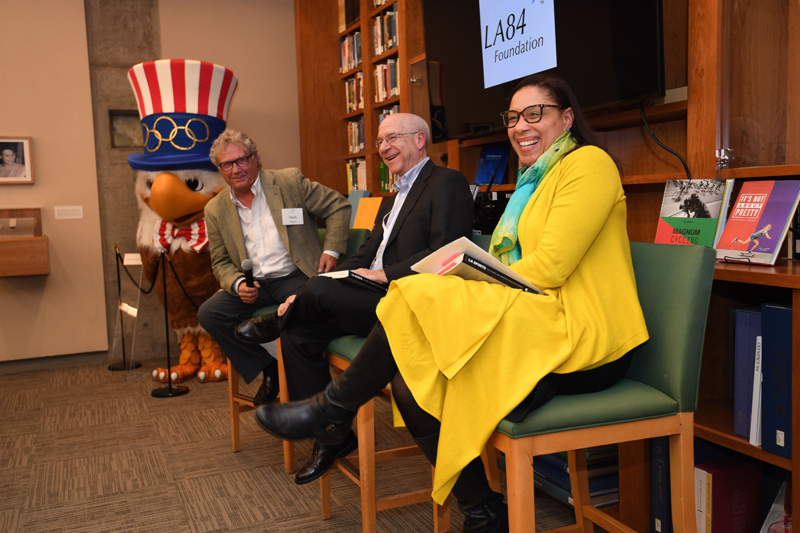 One example: Wilson negotiated an agreement with the International Olympic Committee to digitize their archival material; in return, the LA84 Foundation was permitted to post the material on its website, available to the public for free. Last year, a whopping total of 6.5 million page-views of the digital collection were registered. In 2014, the International Society of Olympic Historians recognized Wilson’s accomplishments in preserving and sharing the history of the Olympic Movement – which included the digitization of more than 120,000 sports-related articles, books, monographs, and other documents — with its Lifetime Achievement Award. 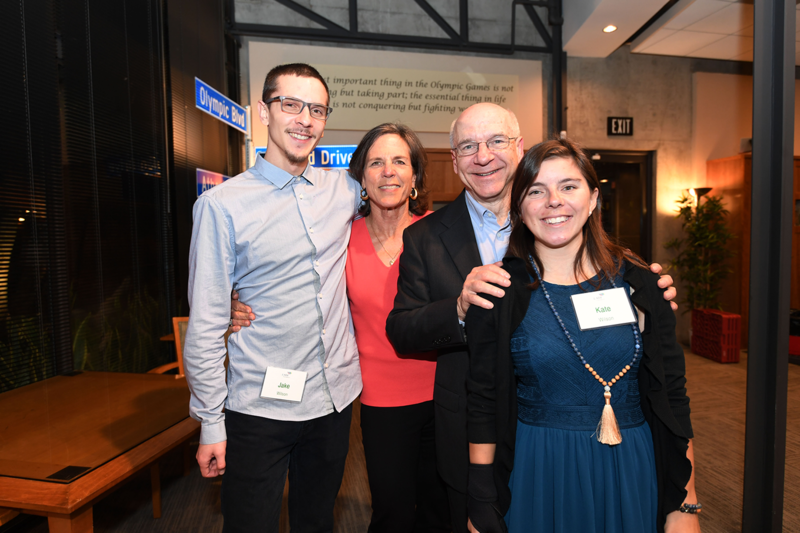 Wilson’s portfolio at LA84 Foundation soon expanded beyond the research center and the Olympics. 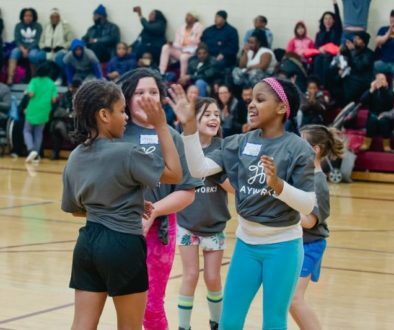 For the past ten years, he administered the Foundation’s coaching education program, a key building block in providing positive experiences for youth in sports (and one that the Foundation has partnered with several stakeholders). 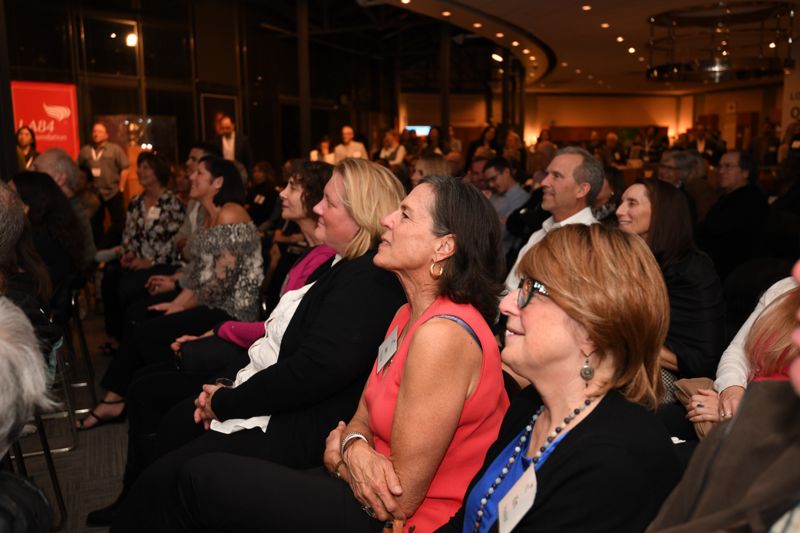 Wilson also spearheaded countless research projects that the Foundation either commissioned or supported through grantmaking. One of the earliest efforts involved tracking the relative amount of media coverage men’s and women’s sports received in the mainstream media. The study conclusively proved that there was very little women’s sports coverage in mainstream media. 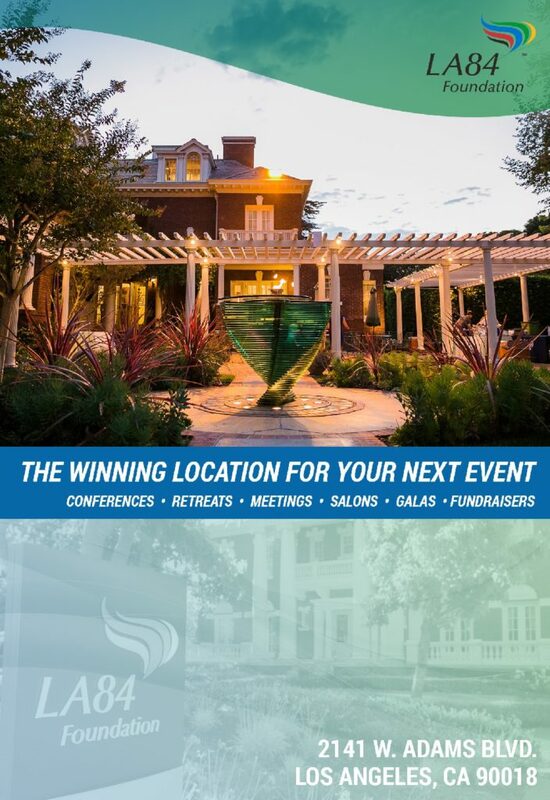 Related to this were the many conferences and symposia that Wilson organized throughout the years for the Foundation. 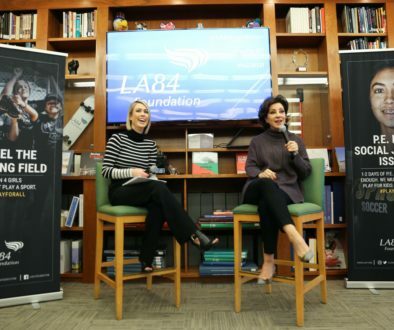 These events brought together thought-leaders, athletes, Olympians, and key scholars in their respective fields to discuss and debate the most pressing issues in the sport realm, including doping in elite sport and the concussion epidemic. 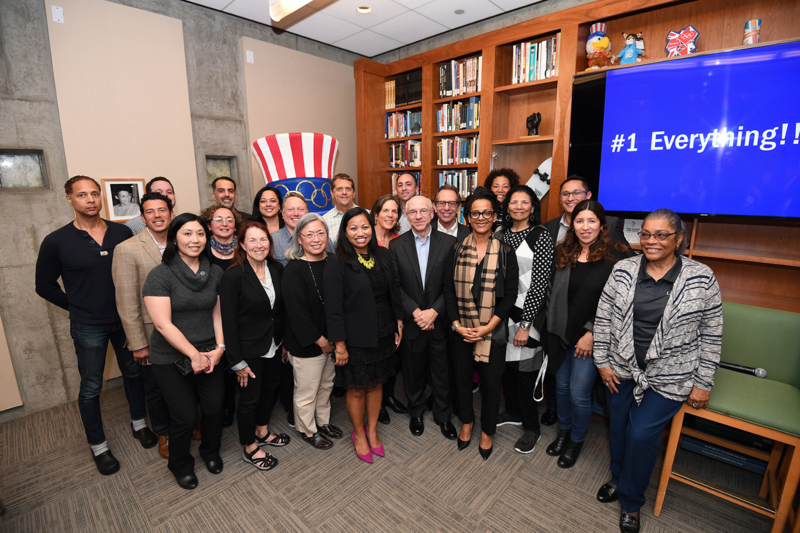 Today, Wilson continues to work with CEO Simril and team to curate the major annual LA84 Foundation Summit. 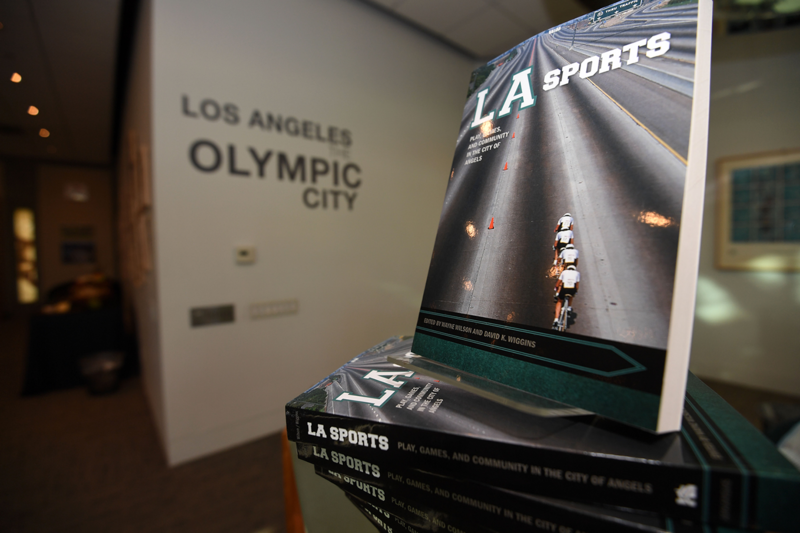 For more information about the book, LA Sports, visit the publisher’s webpage or visit your favorite bookseller.